Oregon neon underglow usage is governed by the state's Code. All relevant laws, rules and regulations pertaining to vehicle lighting including car underglow in Oregon have been provided below. Make sure to examine the regulations carefully and do not use any restricted lights. Usage of neon underglow lighting is governed by Oregon Revised Statutes, Volume 17: Utilities, Vehicle Code [...], Chapter 816: Vehicle Equipment: Lights. Is neon underglow legal in Oregon? Ensure you never use any blue colored lights, and only use steady burning neon glow without any flashing, revolving, rotating or oscillating lights. To be safe we also recommend avoiding red colored lights on all aftermarket lighting systems installed on your car. There are no relevant OR state laws which specifically restrict or prohibit installing underbody lighting, meaning we consider it legal to use it while driving. Below are all relevant excerpts from Oregon Vehicle Code that limit, restrict or allow certain aftermarket lights to be installed on vehicles. 815.005 Consistent parts and equipment authorized. Nothing in the vehicle code shall be construed to prohibit the use of additional parts and accessories on any vehicle not inconsistent with the provisions of the vehicle code. This section essentially allows using after-market vehicle lighting, as long as it is not in violation of other provisions and regulations in Oregon Vehicle Code. Therefore as long as your underglow does not violate state laws and regulations it is considered legal. (1) A registration plate light shall be so constructed and placed as to illuminate the rear registration plate of the vehicle. (2) A registration plate light may either be constructed as a separate light or as part of a taillight. (3) A registration plate light shall show a white light. (1) Police lights may be blue, red, yellow, amber or white. (2) Police lights may be revolving or stationary-type flashing lights. 816.350 Prohibitions on number and kind of lights for certain vehicles. (b) Rear mounted lighting systems. (11) Except as otherwise allowed under this section, no vehicle or equipment may display or carry any lighting equipment or device with a red light visible from directly in front of the vehicle or equipment. (12) Except as otherwise allowed under this section, all flashing lights are prohibited on all motor vehicles on any street or highway except for turn signals, hazard lights and headlight flashing systems described in ORS 816.050. As per article 816.300 and 816.360 operating a vehicle with nonstandard or prohibited lighting equipment is a Class C traffic violation. 816.300 Operation with nonstandard lighting equipment; penalty. (a) Drives or moves on any highway any vehicle equipped with lighting equipment described under ORS 816.040 to 816.290 that does not meet the standards required for the equipment under ORS 816.040 to 816.290. (b) Owns a vehicle or combination of vehicles and causes or knowingly permits the vehicle or combination of vehicles to be driven or moved on any highway when the vehicle or combination is equipped with lighting equipment described under ORS 816.040 to 816.290 that does not meet the standards required for the equipment under ORS 816.040 to 816.290. (2) The application of this section is subject to the exemptions from this section established under ORS 816.310. (3) The offense described in this section [816.300] operation with nonstandard lighting equipment, is a Class C traffic violation. 816.360 Use of prohibited lighting equipment; penalty. (a) Drives or moves on any highway any vehicle that is equipped with lighting equipment that the vehicle is not allowed under ORS 816.350. (b) Owns a vehicle or combination of vehicles and causes or knowingly permits the vehicle or combination of vehicles to be driven or moved on any highway when the vehicle or combination is equipped with lights that the vehicle or combination is not allowed under ORS 816.350. (2) The application of this section is subject to the exemptions from this section established under ORS 816.370. (3) The offense described in this section, use of prohibited lighting equipment, is a Class C traffic violation. Note that penalties only apply to either using prohibited lighting, or using lighting equipment specifically required or permitted which is in violation of the laws. Neon underbody glow is not part of the required and therefore described vehicle equipment, and thus should technically not fall under the same regulations, but use at your own risk. Our information about car neon underglow laws in Oregon was last updated in 2018 and checked in 2019. In case any info we provided is not up to date or correct be sure to contact us so we can revise it. Thank you! Check our data with your local law enforcement or other relevant agencies! Oregon underglow laws in certain cities or counties may be different from state legislation. While we do our very best to provide the most accurate information about LED and neon street glow usage we will not be held liable for any potentially incorrect or misinterpreted info. Oregon Revised Statutes, Volume 17: Vehicle Code, Chapter 816: Vehicle Equipment: Lights. Oregon is a state in the Pacific Northwest region of the United States. It is located on the Pacific coast, with Washington to the north, California to the south, Nevada on the southeast and Idaho to the east. The Columbia and Snake rivers delineate much of Oregon's northern and eastern boundaries, respectively. 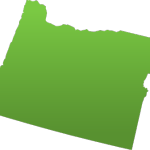 Oregon is the 9th most expansive and the 27th most populous of the 50 United States. Salem is the state's capital and third-most-populous city; Portland is the most populous. Portland is the 29th-largest U.S. city, with a population of 603,106 (2012 estimate) and a metro population of 2,262,605 (2011 estimate), the 23rd-largest U.S. metro area. Have questions about traffic or neon glow laws in Oregon?